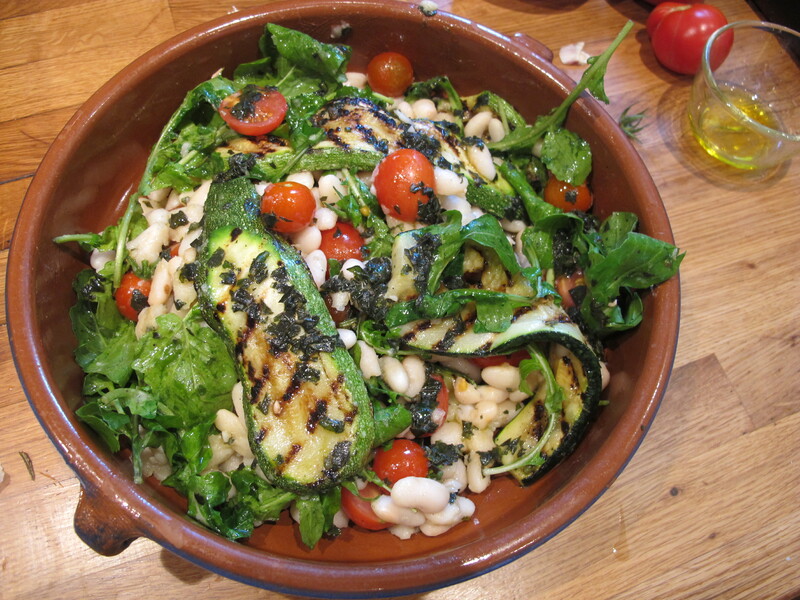 Courgette, Tomato and Bean Salad–improvised lunch! Doing our best to avoid the outside world–too hot to shop! I found a bottle of cannellini beans in the larder and a jar of home-made pesto that was still good in the fridge. These along with the two and a half courgettes (zucchini) and some must-be-used green and red cherry tomatoes from the garden, put me in mind of a salad we had last summer that hit the spot and had–I couldn’t help noticing–been approved by a higher authority. The pesto was a happy addition to last year’s version. I love reading your blog! I’ve just been sitting here wondering what to make myself for supper, and now I know. Using what you have on hand. What a great idea. Thanks for the inspirations! 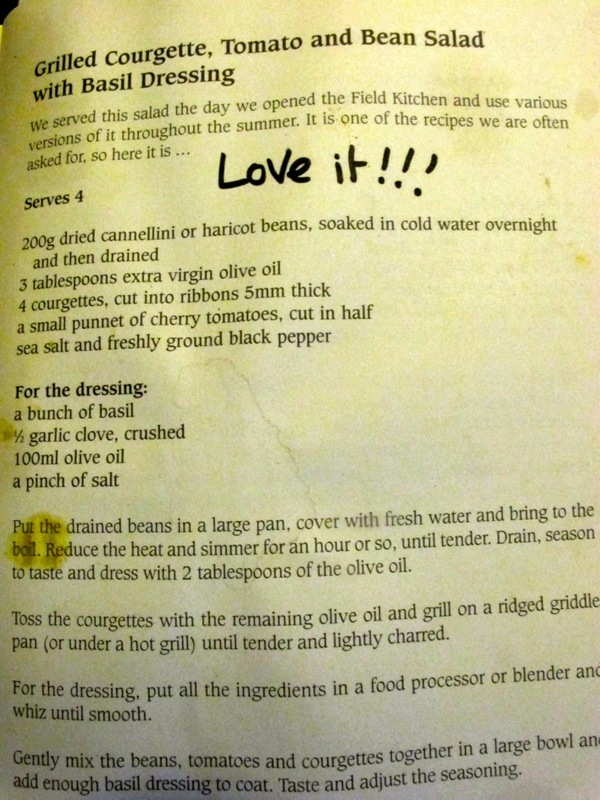 I like the food stains on the page, it’s a real recipe. And I love the cherry tomatoes green as well. If the “higher authority” was Meredith, I have to agree with her 100%! It was absolutely delicious. I prepared it several days ago and am already craving it! Thank you for posting it. Will also try your version! I’m just about to run my first workshop so I feel like adopting your title!